Every once in a while we find ourselves wishing we had Alice's "Drink Me" potion so we could fit into different scenarios that we don’t naturally feel comfortable in. If you try hard enough you can almost pretend that you fit. Like the time you joined that Karaoke competition. An hour after you put in your song you had almost convinced yourself that you had the range of Alicia Keys and while you didn't get an instant invitation to sign on to a record deal, you sure went up there with confidence. Isn't that like a little potion in itself? 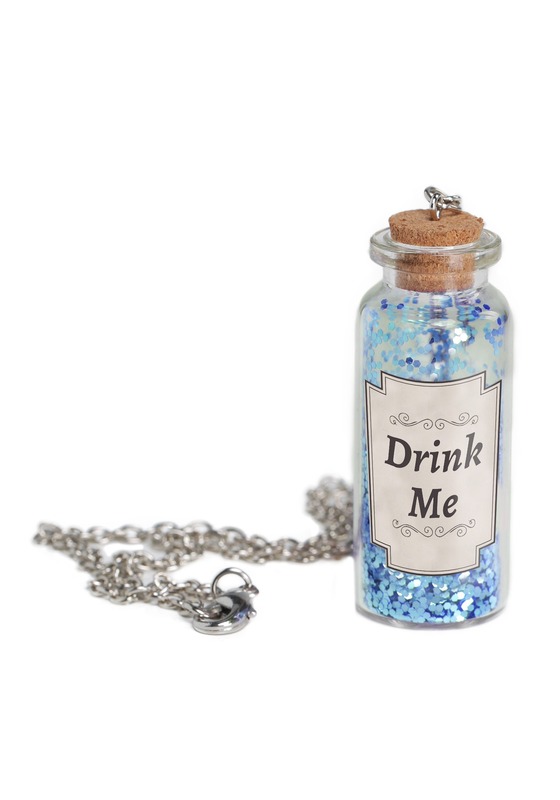 We wouldn't drink this bottle of potion as it consists mostly of glitter, but you can wear it to remind yourself that if you can shrink down to ten inches tall or grow bigger than a house--but it depends on your own mind. 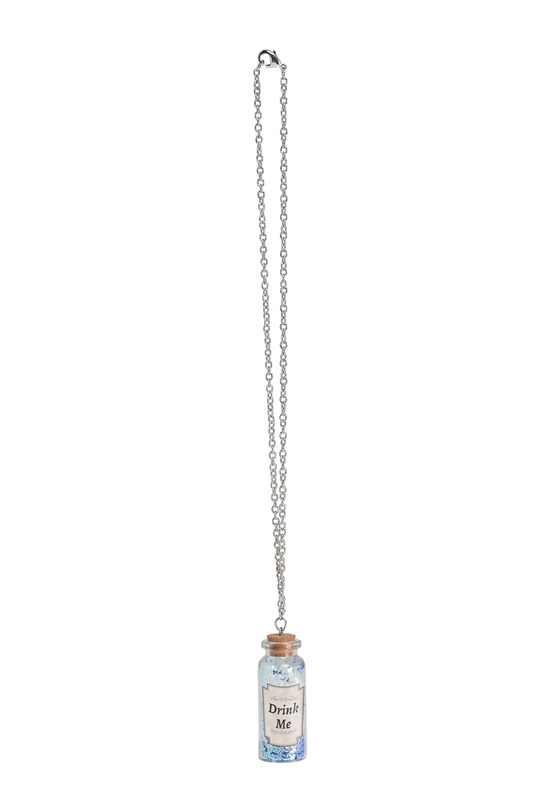 Wear it as a little bit of sparkle for your Alice costume or with a t-shirt and jeans. After all, there's nothing like a little bottled courage.